I just learned that Mike Groenendyk is joining Concordia University Libraries as a fellow business librarian. Michael comes to us from Dalhousie University Libraries, where he’s had quite a bit of impact ! My favorite use of 3D printing so far? Making the characters of the stop-motion animation film ParaNorman. That and a harmonica. Harmonicas are cool. 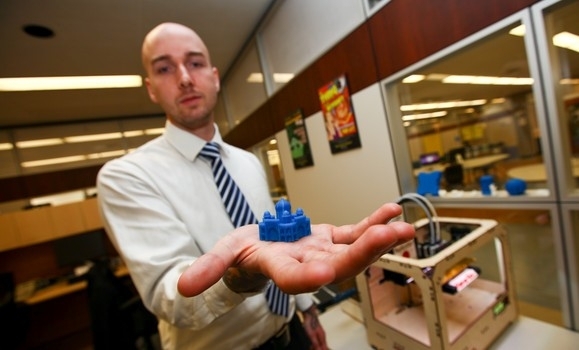 Also of interest is this thread from the blog at MakerBot on 3D printing in Libraries. 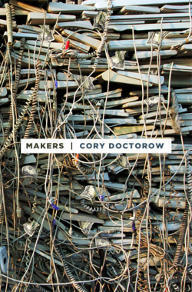 If you want to read up on the potential of 3D printing, I highly recommend a novel by Cory Doctorow called Makers, available in print or free download. I devoured it during my summer vacation and it really speaks to the potential of this technology. The protagonists are two hacker/artists and they meander through a seemingly probably web of open communities, fans, fellow hackers and corporations spanning the evil/good axis. I personally thought that there was just a tad too much romantic melodrama, but in the end it was pale in comparison with Cory’s vision about 3D printing.